Commonwealth: Kenya Women sevens lost 45-0 to giants New Zealand at the Robina Stadium in Gold Coast, New Zealand. 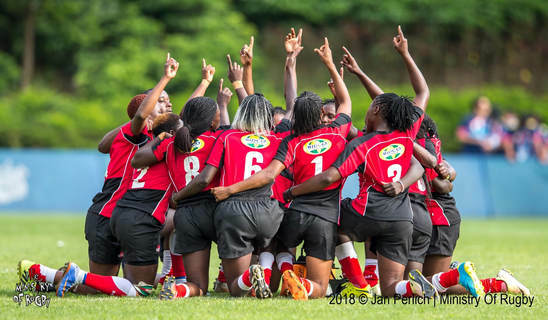 Kenya’s hopes of a medal in the first ever Women’s Sevens rugby competition at the commonwealth games began on a poor footing after suffering a huge 45-0 loss at the hands of giants New Zealand at the Robina Stadium in Gold Coast, New Zealand. Influential All Blacks player Portia Woodman had three tries while Niall Williams added a second half brace, New Zealand picking seven tries while Kenya failed to respond, let alone venture into the opponents’ 22. New Zealand won the kick off and got straight into it, Woodman pushing away with one arm three Kenyan players before racing to touch down. A little side step from Kelly Brazier earned her space in the middle of two Kenyan players before she rolled away to touch down under the posts, the conversion going over for a 12-0 lead. Gayle Broughton added New Zealand’s third try of the morning which was converted as New Zealand went into the break with a healthy 19-0 lead. New Zealand’s rolling machine kept the grind in the second half with Woodman, now playing for fun landing her second try with another powerful run down the middle from the wing. Kenya once again failed to pick the ball from the restart, Woodman completing her hatrick after picking the ball and running down evading tackles. Lack of concentration from Janet Okello saw Williams land the ball after sneaking in behind her chasing down a kick from a teammate. She added her second minutes later after New Zealand swung the ball her way and she roared over the try box on the left. The Lionesses next match will be against Canada at 12:11pm.